Palestinian president reiterates important of two states side by side; Peres: Majority of Israelis support two-state solution. Palestinian President Mahmoud Abbas on Friday said Israel is blocking peace by continuing to expand settlements on occupied territory, but reaffirmed his support for a two-state solution based on the pre-1967 border. "What prevents the achievement of this desire is Israel's continuation of its occupation and settlement activity and imposing realities on the ground," said Abbas, speaking at a regional World Economic Forum conference in Jordan. Abbas did not refer to the changed circumstances created by the formation of a new hard-line Israeli government this month; key members of which oppose land concessions to the Palestinians. A US-led negotiation effort broke down about a year ago, and current prospects for resuming them are slim. Israelis re-elected the hard-line Benjamin Netanyahu two months ago in part because they reject the Palestinians terms, which include not just a near-total pullout from the West Bank and a division of some sort in Jerusalem - but also because the regional chaos has them in a cautious frame of mind. The prime minister has voiced support in recent years for a Palestinian state - but seems very far from the Palestinians' terms. During his campaign he said he did not expect a Palestinian state to soon arise, but later slightly back tracked. Speaking at the same conference on the shores of the Dead Sea, former Israeli President Shimon Peres said most Israelis nonetheless supported the principle of a Palestinian state. Asked about the possibility that the world community would ratchet up the pressure on Israel, he insisted that more negotiations - despite decades of failure - were the answer. "I'm convinced that there will be no better alternative (to) the two-state solution," said Peres, who is also a former prime minister. "I believe it is possible. I believe it is needed. I believe that peace negotiations can be resumed and the sooner the better." Many moderate Israelis are concerned that the default outcome is a single state in which Jews will not be the majority - and which, if Jews continue to dominate it, would cease to be considered a democracy. On Monday, Netanyahu handed responsibility for any future peace talks with the Palestinians to his new Interior Minister Silvan Shalom, a nomination denounced by Palestinians, who said Shalom did not believe in the two-state solution. Meanwhile, international pressure to resume talks has increased. On Thursday, French magazine Le Figaro announced that France is pushing forward with its Middle East peace initiative, shortening the deadline for Israeli-Palestinian talks from two years to 18 months. If a two-state solution is not reached by the end of the 18 months of talks, France will announce it is officially recognizing the State of Palestine. On Tuesday, the United Nations' new Middle East envoy, Nikolay Mladenov, said he and UN Secretary-General Ban Ki-moon would engage Israel's government to explore "realistic options" for a return to talks with the Palestinians aimed at a two-state solution "within a reasonable timeframe." And last week the Jordanian and German foreign ministers held a joint press conference in which they urged the resumption of talks. Palestine was elected to chair the third Meeting of States Parties to the UNESCO 1970 Convention on Illicit Trafficking of Cultural Property for the first time earlier this week. 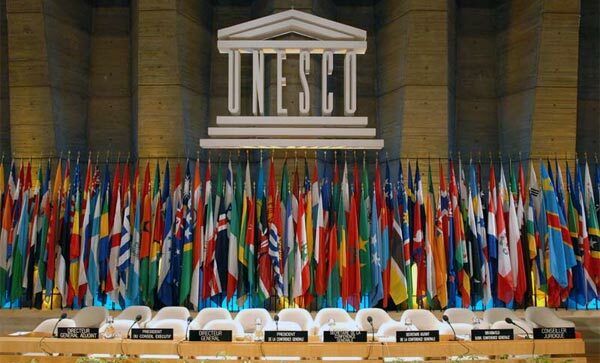 Palestine became the 195th full member of UNESCO in 2011 with the support of a large majority of countries. Chairing a meeting of nearly 130 state parties has "both symbolic and practical" significance for Palestine, Mounir Anastas, deputy ambassador of Palestine to UNESCO, told the Anadolu Agency. According to Anastas, the meeting that mainly aims to recover embezzled cultural property is a significant legal tool for Palestine that saw its own property "illegally exported or even stolen", particularly because of Israel's partial occupation of the West Bank. "As you see, Israel is not among the states parties to attend the meeting, which will offer Palestine a legal framework to seek its rights," Anastas said. Speaking about the process that led to the election of the Palestinian delegation to chair the meeting, Anastas said the initiative made by the Arab countries was "fully supported by Turkey". The Turkish delegation, which currently holds the presidency of the regional bloc of "Western European and Other States" in the UN, was consulted as a national delegation and chair of its voting group, Anastas said. As for the reaction of the other states members, Anastas said the delegation received "a lot of positive feedback". "Even states that had voted against the recognition of Palestine as a full member state to UNESCO, like Canada and Germany, congratulated us, except the United States." Anastas was optimistic about the possibility of chairing another UN meeting. "We are here to practice our membership," he said. UNESCO is currently the only UN agency that recognises Palestine as a full member state. Venezuela decided on Friday to increase its diplomatic representation in Palestine to full embassy status, according to the Venezuelan minister for foreign affairs. "Following instructions from President Nicolás Maduro, we will raise our representation in the heroic Palestinian states to embassy level," Delcy Rodríguez announced on social media Friday evening. The decision comes after a visit by Palestinian foreign affairs minister Riyad al-Maliki to Venezuela this week, during which 18 agreements of cooperation and a contract were signed covering a wide range of strategic areas. Formal diplomatic ties between the two nations were established in 2009 under late President Hugo Chávez. Venezuela went on to expel Israeli representatives as a sign of support for the Palestinian cause especially after Israel's summer aggression on Gaza. 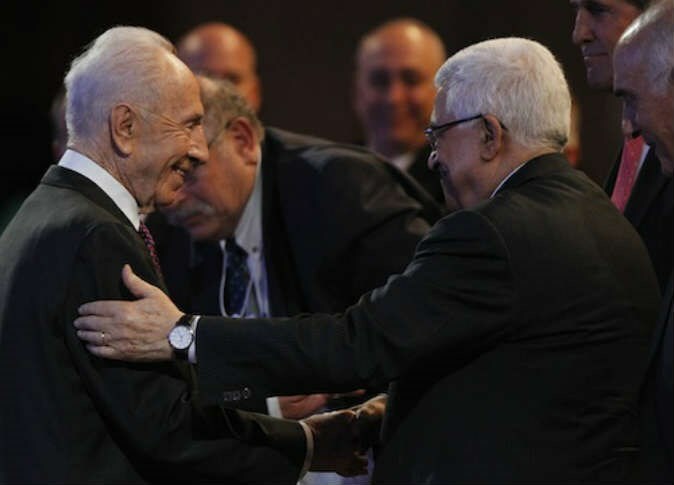 Israeli media reports stated that the Israel’s former president Shimon Peres to meet PA Chairman Mahmoud Abbas and a number of Arab leaders on the sidelines of Davos Forum to be held at the Dead Sea in Jordan on 21-23 May. 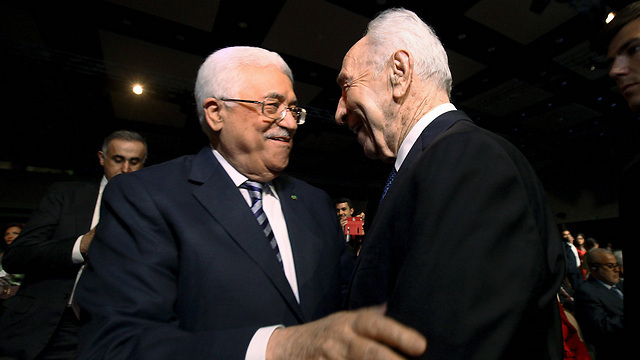 It is scheduled that Peres will meet with Abbas, king Abdoullah, Egyptian president Abdul Fatah al-Sisi, and a number of other leaders in the region on the sidelines of the World Economic Forum of Davos. Peres is expected to negotiate peace talks’ resumption between Israeli and Palestinian authorities, and the international efforts made for Gaza reconstruction. The high-profile event, which concludes Saturday, will see the participation of around 1,000 political and business leaders and representatives of civil society, international organizations, youth and the media from over 58 countries, according to organizers. Palestinian Authority President Mahmoud Abbas said today that he rejected all transitional solutions and the introduction of temporary borders for the aspired Palestinian state. Speaking at the World Economic Forum which kicked off this morning in Jordan, he said that those who advocated such ideas should stop doing so. "We emphasis our rejection of any transitional solutions and what is called a state with temporary borders," Abbas said. He said these temporary borders would divide the Palestinian people and their land. Abbas called on the international community to help introduce a deadline for the end of the Israeli occupation of Palestinian territories. He said he was committed to a just and comprehensive peace and the two-state solution, which would open the door for the establishment of a Palestinian state with East Jerusalem as its capital. 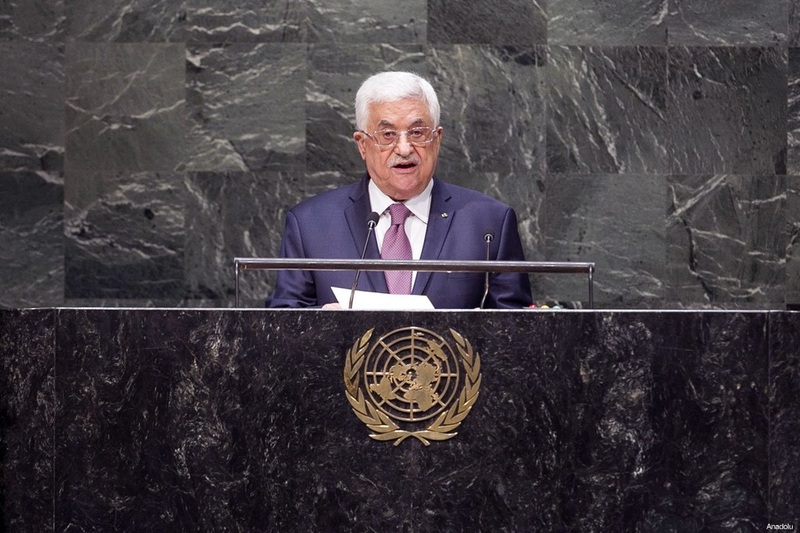 Abbas also called for solving final status problems, including the issue of Palestinian refugees and prisoners. "Israel's continued occupation and settlement building hinders all this," Abbas said. Seated in front of Abbas was Israeli President Shimon Peres, who attended the World Economic Forum in Jordan, along with more than 900 business leaders and foreign politicians. Discussions in the forum, which ends tomorrow, are due to focus on the economy and youth problems in the Middle East. The Greek government plans to hold a parliamentary vote on recognizing Palestine as an independent and sovereign state. “The recognition of the state of Palestine will be on agenda in the Greek parliament in the coming weeks,” the Sputnik news service quoted a source in Greece’s ruling Syriza party as saying on Thursday. The source noted that Palestinian President Mahmoud Abbas is also expected to participate in the voting session. Earlier this month, the Vatican officially recognized the state of Palestine in a new treaty. According to the treaty, which was finalized on May 13, the Holy See switched its diplomatic relations from the Palestine Liberation Organization to the state of Palestine. "By the example of Vatican and other European nations, Athens will hold a parliament voting on the issue of the recognition of Palestine. At the initiative of the Syriza party, the Greek parliament plans to recognize the state of Palestine along the 1967 borders," the source in the Greek party added. On November 29, 2012, the United Nations General Assembly voted to upgrade Palestine’s status at the UN from “non-member observer entity” to “non-member observer state” despite strong opposition from Israel and the United States. On December 2 last year, French lawmakers voted overwhelmingly in favor of a motion to recognize Palestine as an independent state. The motion was backed by a majority of 339 lawmakers while 151 members voted against. On November 18, 2014, Spanish lawmakers overwhelmingly approved a non-binding resolution on recognizing the Palestinian state. Britain and Ireland also passed similar non-binding motions. Sweden went a step further On October 30, 2014, and officially recognized the state of Palestine, drawing stringent criticism from Israel and the US. 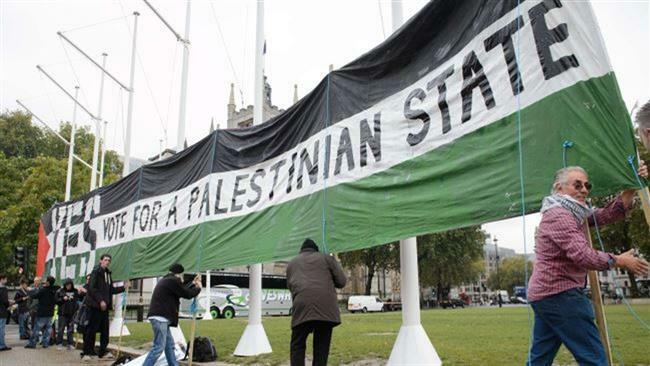 Palestinians are seeking to create an independent state on the territories of the West Bank, including East al-Quds (Jerusalem), and the Gaza Strip and are demanding that Israel withdraw from the occupied Palestinian territories. Israel, however, has refused to return to the 1967 borders and is unwilling to discuss the issue of al-Quds. The International Monetary Fund (IMF) has called on the international community to rev up measures for the reconstruction of the besieged Gaza Strip and to boost economy in the blockaded Palestinian territory as well as the occupied West Bank. 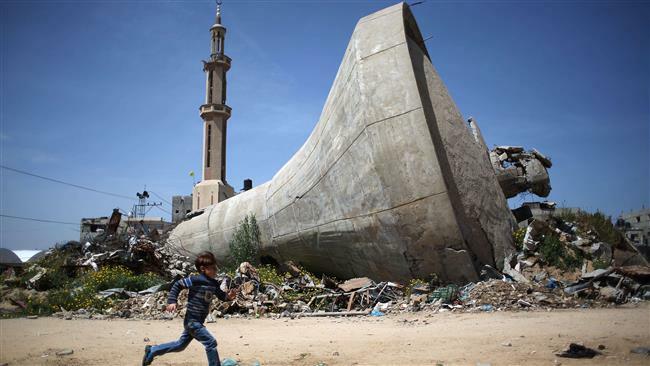 In a report released on Tuesday, the IMF evaluated the reconstruction process in the Gaza Strip, which suffered a deadly Israeli onslaught last summer, saying that the rebuilding process "is moving far more slowly than expected." 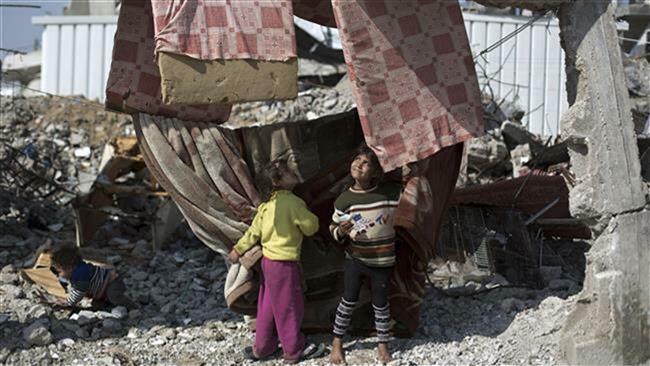 The Washington-based crisis lender, in the report, highlighted the colossal size of destruction in the besieged Gaza Strip because of the Israeli aggression, estimating the economic cost of the 50-day Israeli war on the blockaded territory at USD 4 billion. "While notable progress has been made recently with the provision of materials for the repair of individual homes, larger construction projects that are required for a job-creating economic recovery are still pending," the report appraised. The IMF further noted that the economy in the two Palestinian territories was hit by a recession in the year 2014, describing the economic outlook for the areas as "highly uncertain." ​The report also listed Israel’s blocking of tax revenues for the Palestinians as one of the moves further straining the economy in the Palestinian territories. In January, Israel blocked over USD 100 million in tax revenues after the Palestinian Authority applied to join the International Criminal Court. The IMF, which has projected the economic growth in the West Bank and Gaza Strip at 2.5 percent and 7.0 percent respectively, says Palestinian authorities alone cannot recover the economy in the territories, urging “additional donor aid” to “fully close the financing gap” there. Israel heavily pounded the blockaded coastal sliver in the recent war that started on July 8 and ended on August 26 with an Egyptian-brokered truce. Over 2,140 Palestinians, mostly civilians, including women, children, and the elderly, were killed in the Israeli onslaught on Gaza. Around 11,000 others were injured. Israeli forces targeted hundreds of factories and businesses over the course of the 50-day assault. The IMF had said in another report that the war caused the Palestinian economy to contract by about 15 percent. Palestinians face various forms of Israeli aggression nearly every day, including the heavy-handed suppression of protests in the occupied West Bank and deadly aerial attacks in the Gaza Strip. A meeting was recently held between representatives of Arab countries that do not have diplomatic ties with Tel Aviv, and a number of Israeli officials, to discuss what they called “security cooperation” in the region. The official Israeli Radio has reported that the meeting took place between Arab officials, Israeli security officials, and diplomats representing both the United States and the European Union. 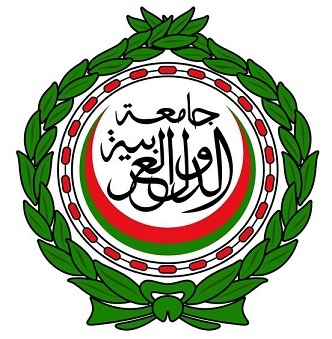 In 2002, all Arab states in the region presented the “Arab Peace Initiative," during their summit in Beirut – Lebanon, offering full recognition and normalization with Israel should it withdraw from all the Arab and Palestinian territories it captured in the aftermath of the June 4 1967 six-day war. The initiative was re-endorsed during the Arab Summit in Riyadh – Saudi Arabia, in 2007; however, Israel rejected it, and said it needs various amendments. The then Israeli Prime Minister Ariel Sharon rejected the entire initiative, and claimed, “It replaces UN resolutions 242 and 338, which call for negotiations,” although Israel never officially recognized any resolution regarding its illegal occupation of Palestine. The official Israeli stance rejects any full withdrawal from the occupied territories, including occupied Jerusalem, the Right of Return, and an independent sovereign Palestinian State. Israel also still insists on what it calls “its right” to build and expand its illegal colonies in the occupied West Bank, including in and around occupied East Jerusalem, in direct violation of International Law and the Fourth Geneva Convention to which Tel Aviv is a signatory. 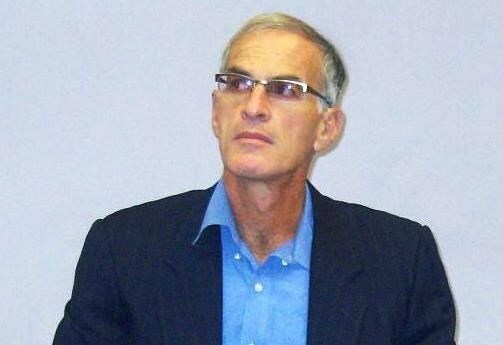 In an interview with the Gaza-based Alresalah Newspaper, the Jewish professor Norman G. Finkelstein said that "Hamas has generally put forth reasonable goals, but it relies exclusively on armed struggle." He declared his total support to mass nonviolent resistance, such as organizing a huge demonstration, coordinated with the international solidarity movement, to pass through the Erez checkpoint. The Palestinians must, according to him, take advantage of their biggest external asset: the huge reservoir of support they have around the world. Speaking about the improvement in Hamas-Europe relations, Finkelstein said that it is a difficult process, because of the hostility toward, and fear of, Islam in Europe. However, as he said, if Hamas articulates reasonable goals, and engages in mass nonviolent civil resistance, and if it coordinates its efforts with the international solidarity movement, it could perhaps win over a lot of European public opinion to the Palestinian cause. Regarding the peace process resumption, he stated that "there has never been a peace process. There is an annexation process that uses the “peace process” as camouflage." The current phase of the “peace process” began with the Oslo agreement in 1993. At the time, there were 250,000 illegal Jewish settlers in the occupied Palestinian territories. Two decades later, there are more than 550,000 settlers. That captures the essence of the “peace process”—its purpose was to facilitate Israel’s absorption of the West Bank, he continued. 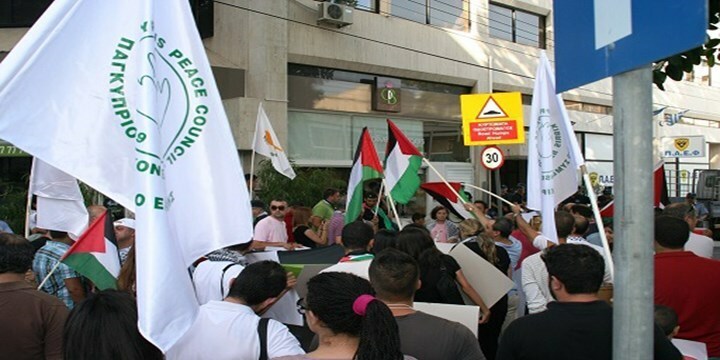 Professor Finkelstein strongly criticized both Egypt and Saudi Arabia's support to Israel during Gaza aggression. The Arab League met only once, and effectively supported the pro-Israel ceasefire proposal put forth by al-Sisi, he pointed out. "At the popular level—whether it be Iraq, Syria, Yemen, Egypt, Bahrain—the various Arab peoples are now preoccupied with their own domestic catastrophes. The Palestine cause no longer commands the moral authority it once enjoyed." According to Finkelstein, the US hopes to use Egypt, Jordan, and the PA to squeeze the Palestinian people in submission, while al-Sisi is more interested in an alliance with Israel. Speaking about PA role, he said that the PA is any longer committed at this point to ending the occupation. On 13 September 1993, the Palestinian Authority, he continued, ceased to be a resistance movement and became an agent of the occupation. "The PA recruited a mercenary army by offering poor Palestinians in refugee camps a relatively privileged life of a job and a car if they agreed to arrest and torture other Palestinians for Israel." The international community sucked all the talent out of the Palestinian community by creating NGOs in Ramallah that produce worthless reports during the day on the Palestinian economy (Palestine does not have an economy; it survives on charity), and enjoy Ramallah’s restaurants and entertainment at night, he concluded. A senior Israeli officer commended the Palestinian Authority's security services' efforts to facilitate and secure Jewish settler visits to Joseph's Tomb in the city of Nablus, north of the West Bank. Israel's Channel 7 quoted on its website the operations officer in the Judea and Samaria Brigade, Eyal Sabbagh, as saying: "The Palestinian security forces are cooperating with the Israeli army and protect Joseph's Tomb in Nablus around the clock and the visits are implemented with previous cooperation with them." According to Sabbage, the most recent visit to Joseph's Tomb on Friday took place after several months of mutual coordination with the Palestinian Authority security services. The event was attended by 4,000 settlers who came to perform religious rituals in celebration of the Jewish holiday of Sefirat HaOmer. They were accompanied by Central Command Chief, Roni Numa, and army leaders in the West Bank. The Israeli officer said in remarks published yesterday: "Our mission is to implement the political decision on Joseph's Tomb and to enable people to access to this holy place and pray in it." "There are many preparations, starting with travel arrangements from all regions to security companies, guards from the army and police, and intelligence agencies which examine things before the civilians enter the place," he added. Palestinians denounce appointment of new interior minister, saying Shalom did not believe in the two-state solution. Prime Minister Benjamin Netanyahu has handed responsibility for any future peace talks with the Palestinians to his new Interior Minister Silvan Shalom, an official said Monday. "The prime minister has charged Silvan Shalom with conducting in his name the negotiations with the Palestinians," the official said on condition of anonymity. Shalom, a veteran member of Netanyahu's rightwing Likud party, will also be in charge of strategic dialogue with the United States, public radio said. The nomination was denounced by the Palestinians who said Shalom did not believe in the two-state solution. "He does not believe in a Palestinian state. He's against a two-state solution," an official from the Palestine Liberation Organization (PLO) told AFP, asking not to be named. "It's not an issue of names. It's an issue of policy." 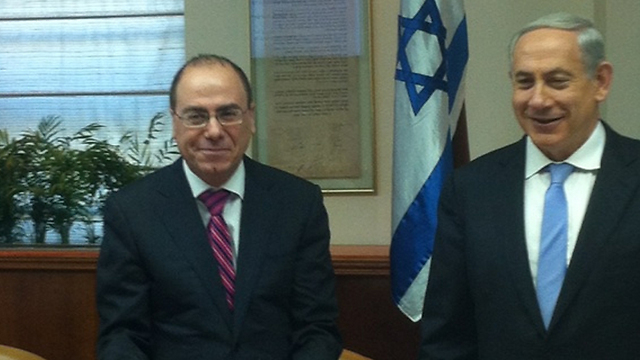 Shalom served as foreign minister in 2003-2006, a period which covered the second Palestinian intifada and Israel's withdrawal from the Gaza Strip. The last Israeli minister in charge of negotiations was Tzipi Livni, the co-leader of the joint Zionist Union party, who served as justice minister until she and former finance minister Yair Lapid were fired by Netanyahu in December, triggering snap elections. The position of foreign minister is now held by Netanyahu himself after the previous incumbent, Avigdor Lieberman, bolted coalition talks at the 11th hour, relinquishing the portfolio. Netanyahu's new government, which was sworn in late last week, marks a shift to the right by giving increased prominence to Naftali Bennett's far-right Bayit Yehudi, which opposes a Palestinian state and strongly backs settlement activity. The move looks likely to complicate Israel's already damaged relationship with the Palestinians and further strain ties with the international community. Indirect US-led peace talks collapsed in April last year, with the relationship between the two sides severely strained, prompting the Palestinians to step up efforts on the international stage to seek their promised state. A number of foreign ambassadors to Palestine arrived on Monday morning in Gaza via Erez crossing in northern the blockaded enclave. 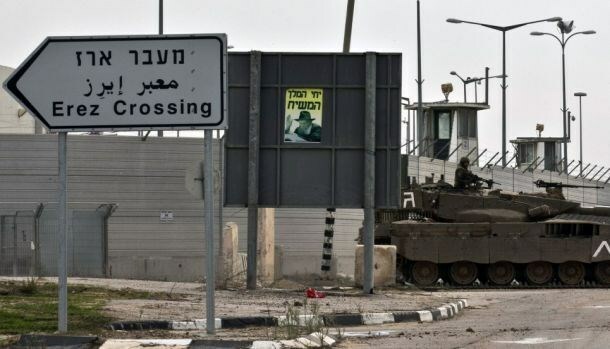 In a statement posted on its Facebook page, Palestinian Interior Ministry disclosed that the Ambassadors of Czech Republic, Slovenia, Poland, and Japan arrived in Gaza via Erez crossing on Monday morning. 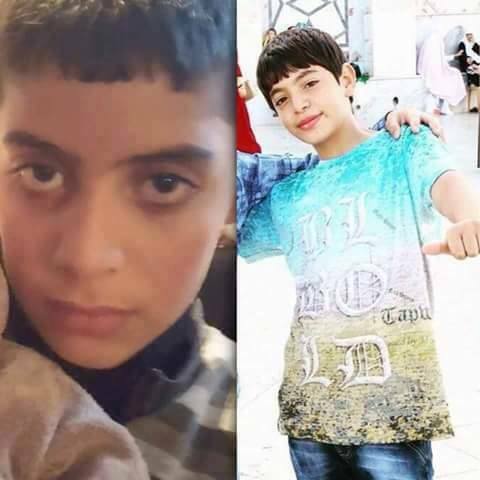 The ministry has not referred to the ambassadors’ schedule in Gaza Strip. A senior Turkish delegation along with the Norwegian Ambassador to Palestine reached the besieged enclave on Sunday. The European ambassadors, Ministers of foreign affairs and foreign officials have been arriving in Gaza without being escorted by the Palestinian Authority’s Minister of Foreign Affairs Riyad al-Malki.